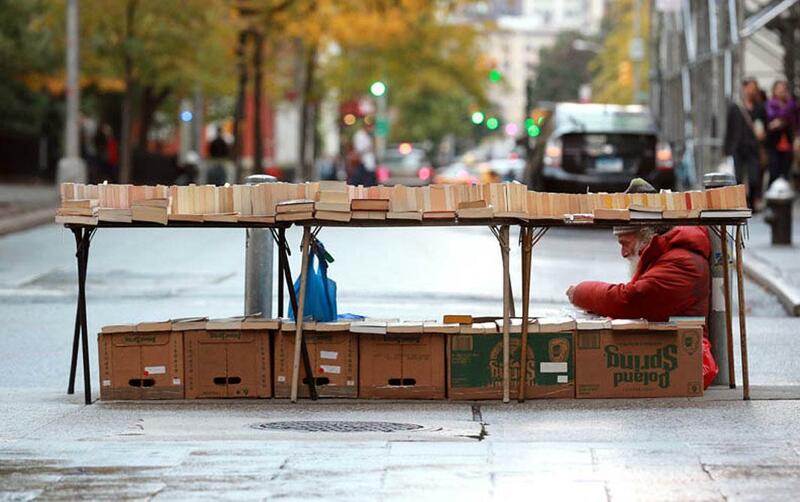 Lawrence Schwartzwald: A New York photographer captures candid images of people reading (PHOTOS). Reading on subway platforms, Prince Street, Jan. 10, 2014. Born in the Bronx, Lawrence Schwartzwald has an almost Woody Allen–esque love for New York: He’s a lifelong walker who enjoys people-watching and takes breaks to read books in cafés. For years he worked in restaurants primarily to free up his time to be able to read and attend literary events and poetry readings in the evenings. 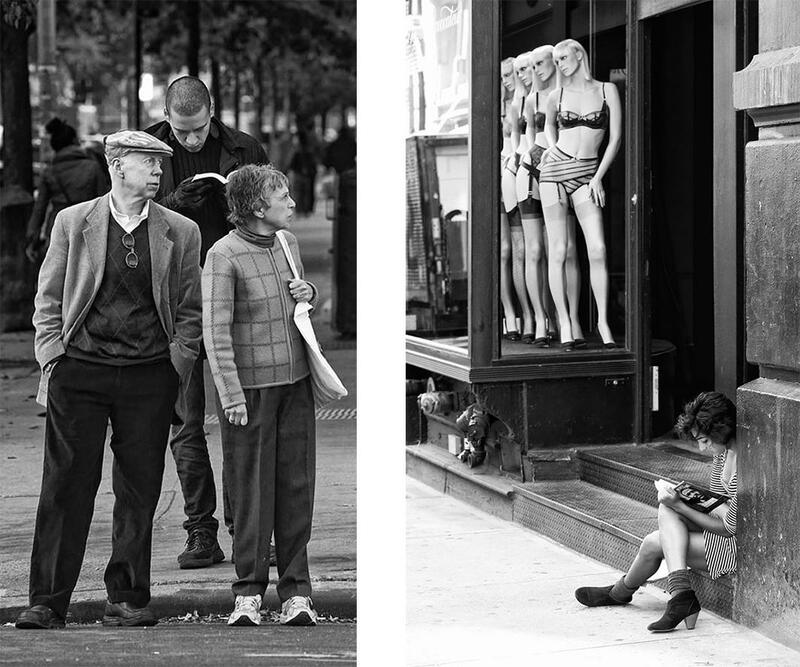 In the early 1970s, Schwartzwald picked up a copy of Andre Kertesz’s On Reading and felt inspired looking at the black-and-white candid images of people reading around the world and wanted to do something similar. But it wouldn’t be until many years later that Schwartzwald would pick up a camera—around age 40—and decide to snap a few pictures at some of the literary events he was attending. A friend admired his work and suggested he start shooting more. During a brutal heat wave one summer, Schwartzwald took a picture of a long line of people waiting to buy air conditioners on the Upper West Side and ended up making his first sale; the photo appeared on the front page of the New York Times. From there, he started taking photographs of celebrities. Left: Antique Store, 12th Street, June 5, 2013. 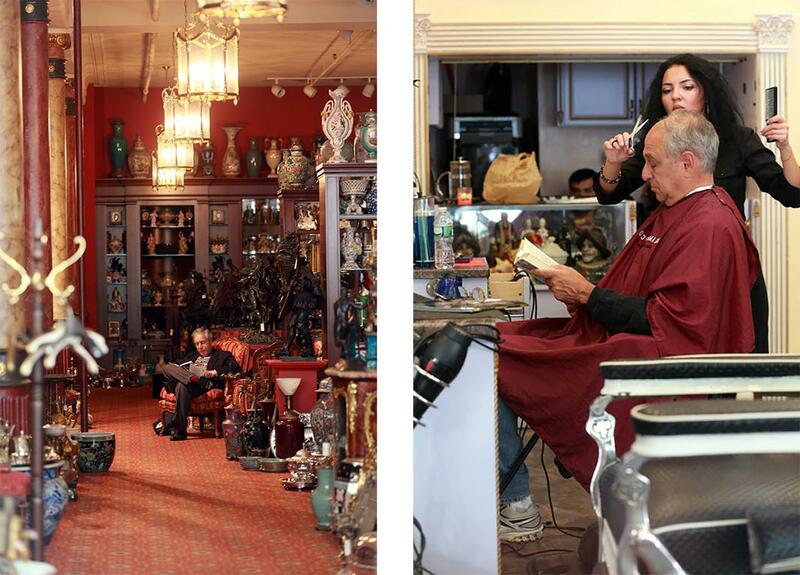 Right: Barber Shop, Sept. 19, 2013. Washington Square North, Nov. 2, 2013. Left: Tall man behind couple, 10th Avenue, Nov. 17, 2012. Right: Mannequins in window, Soho, June 5, 2013. Bookseller (“Crack Salesman”), Columbus Avenue, July 12, 2001. 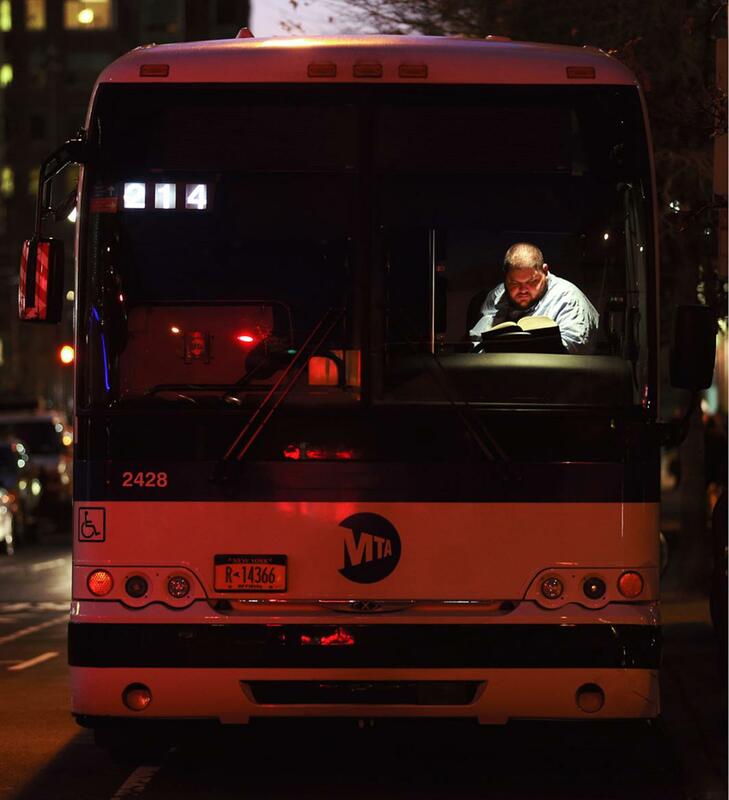 Bus driver, Tribeca, Jan. 7, 2013. When he wasn’t photographing, Schwartzwald was usually reading, something he said he enjoys more than just about anything. Although it wasn’t necessarily a conscious decision, his eye for a great picture combined with his love of books and influence from On Reading began to come together and he started a prolific series of people reading. All of the images were taken spontaneously, apart from some of the celebrities he has seen reading—he asks them if he can then take their portrait. 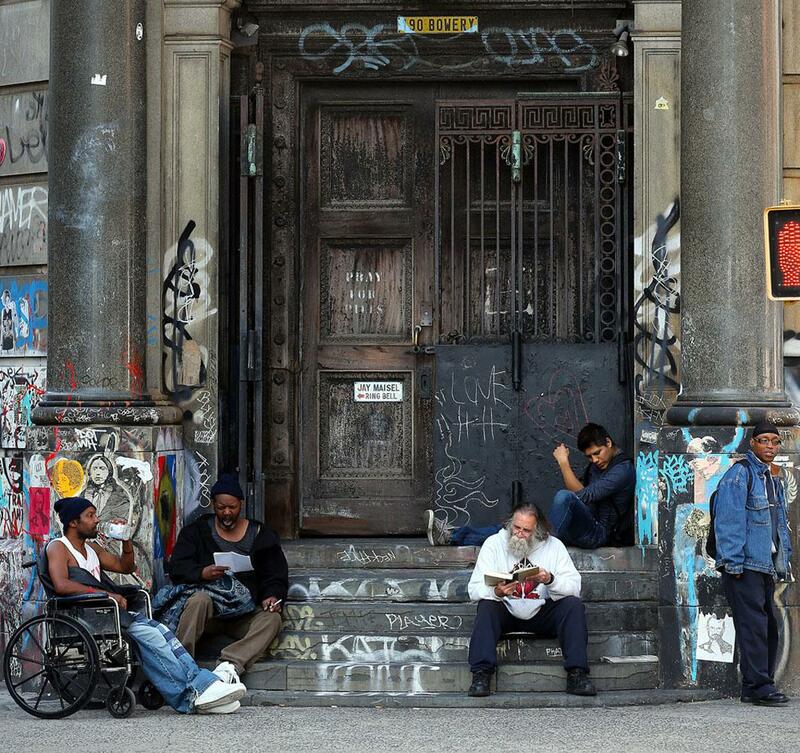 Bowery (Jay Maisel’s building), Oct. 8, 2014. 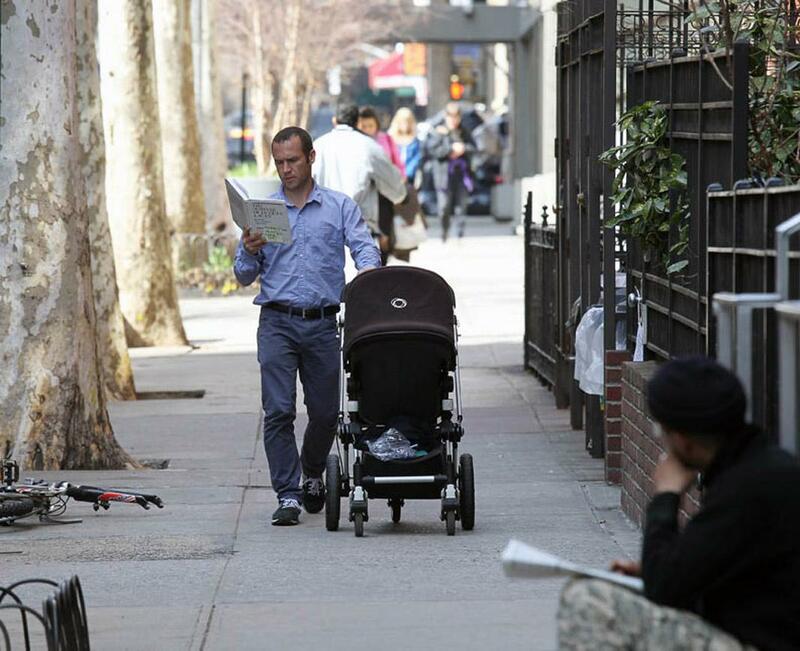 Man with stroller, 12th St., March 12, 2012. 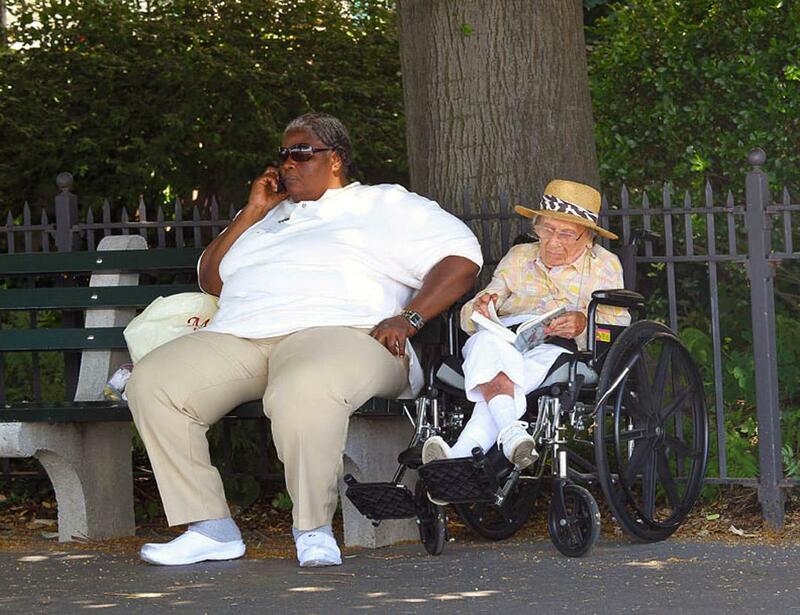 Reading with caretaker on bench, Battery Park, June 22, 2012. Update, March 12, 2015: Captions on this post have been updated to reflect the most recent titles given to the images by Lawrence Schwartzwald.